Look! 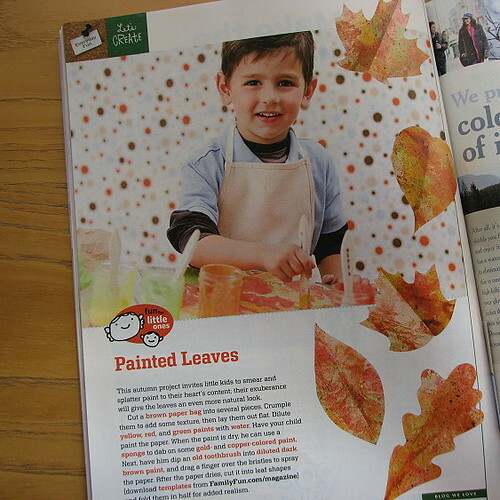 My paper bag leaf project is in the November issue of Family Fun Magazine. They gave me two, one to giveaway. Lots of really great kid projects, recipes, party ideas and more. I had no idea. So just leave a comment and I’ll pick a winner on Monday morning. This entry was posted in Fun kid stuff, Misc stuff and tagged family fun magazine, published. Bookmark the permalink. 22 Responses to Family Fun Magazine- giveaway! How exciting!! I can’t wait to get my copy i’n the mail!! Are you going to be on the iPhone app too?? I love Family Fun magazine. I really should get a subscription to it some time. Congrats on your leaves getting in the magazine! I love making a big turkey and giving the kids a feather to write what they are thankful for. I just found your blog today while looking for quick & easy cape ideas. What a fun site – I’m hooked! How cool! So they just wrote to you and said “look, you’re in our magazine, we got the idea from you!” or did they have to ask you first? Congrats on being in the mag! Oh! I love the new banner!! Congrats to you! That is so exciting. I adore your blog. How fun that you’re published by Disney! Congrats! I love all your craft ideas, I can’t wait to get my girls involved in this one. I even printed extra templates so I can do it with them! Congratulations! 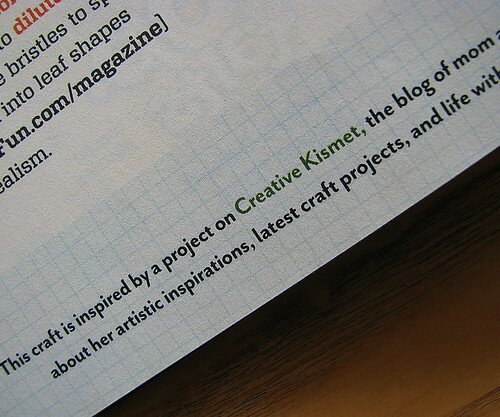 How exciting to have your craft featured! It looks like so much fun. I just picked this up to purchase at Target. Then I saw the lines and bailed. So winning it would be even better! And no wonder I wanted it- I’m sure I subliminally realized you were in it! Hi Regina. I LOVE your new header! And a huge congratulations on being published!!! Congrats on being published yet again!! Such a famous friend I have! This is one of my favorite magazines, I’ve been reading it for years. That is so cool that you were in it, amazing! Congrats! I love this magazine and didn’t realize my subscription ran out. What a great Fall craft! I really enjoy this magazine and your blog. Hi! I saw your article in the Disney Family Fun magazine and really enjoyed it. I jotted down your blog so I could visit it. I am also a fellow blogger:) I was wondering how you went about getting involved in the Disney Family Fun magazine?? Thanks for the tips!